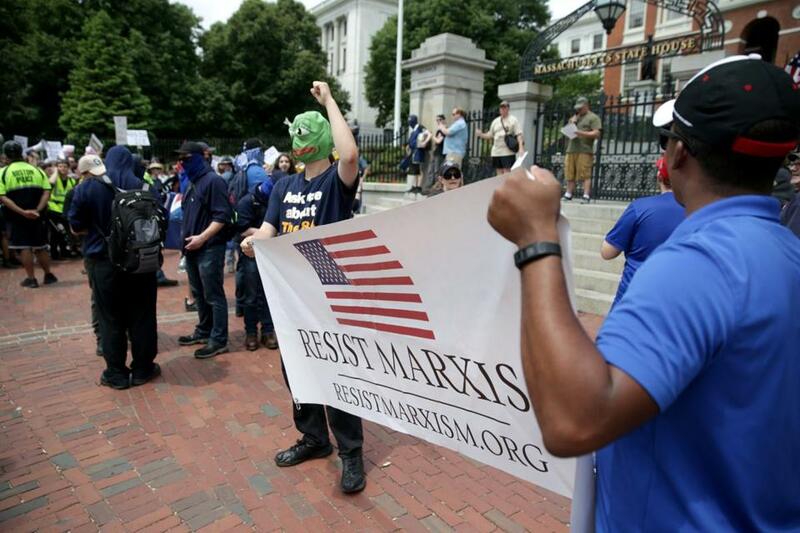 A group called Resist Marxism held a Second Amendment rally outside the Massachusetts State House on Saturday. 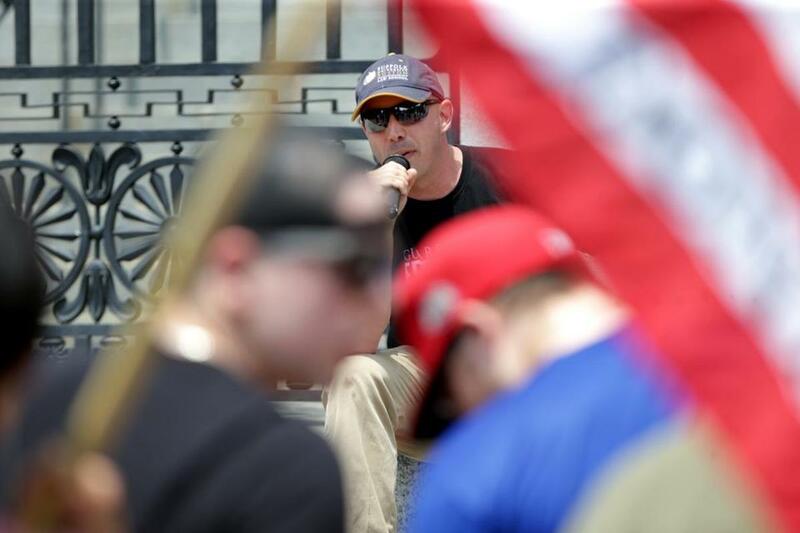 A group of gun-rights activists clashed Saturday with counterprotesters who chanted and used noisemakers to try to drown out speakers from the other side during an approximately 90-minute face-off outside the State House. Officers arrested three people for disorderly conduct, a Boston police spokesman said, but the event was otherwise peaceful. The gun-rights gathering was organized by a group called Resist Marxism, which staged a counterdemonstration at the March for Our Lives protest in March. The group also held a rally on Boston Common last November that drew about 1,000 counterprotesters. There were far fewer counterprotesters at Saturday’s event. A few dozen gun-rights demonstrators used a microphone and loudspeakers to address the crowd over chants from the opposing side. An organizer with Resist Marxism said the group opposes a so-called red flag bill that would let the courts strip weapons from people who have been identified by their families as a danger to themselves or others. Mark Sahady, an organizer with Resist Marxism, said the group opposes a so-called red flag bill that would let the courts strip weapons from people who have been identified by their families as a danger to themselves or others. The state House of Representatives approved the legislation last month, and both Governor Charlie Baker and state Senate President Harriette Chandler have endorsed the concept of the bill. “We see it as an open door to gun confiscation without any checks and balances. There are already laws where guns can be taken out [of] the home if there is a danger. We don’t need new ones,” Sahady said. The counterprotest drew more than 100 demonstrators, many of whom said Resist Marxism was using gun rights as a cover for holding a hate rally. “I oppose fascism. 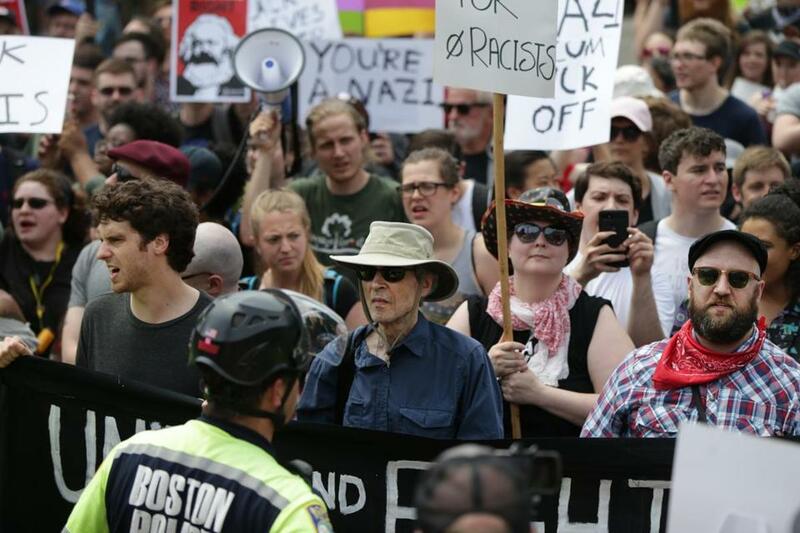 This is a fascist group, and we need to drown them out,” said Christine Curtiss, who lives in Mission Hill and belongs to Arlington Street Church, a Unitarian Universalist congregation in the Back Bay. Sahady rejected the counterprotesters’ assertion that Resist Marxism welcomes Nazis. “This was a multiracial crowd that came on our side. Obviously, we’re not Nazis,” he said. Claire Blechman, a counterprotester from Somerville, said she was speaking out against fascism and Nazism. “The most important thing to do is show them that they are not welcome here,” she said. Boston police officers and state troopers kept order at the event, using a line of police bicycles to separate the groups. As rain started to fall around 1:30 p.m., the gun-rights rally concluded and people on both sides dispersed.